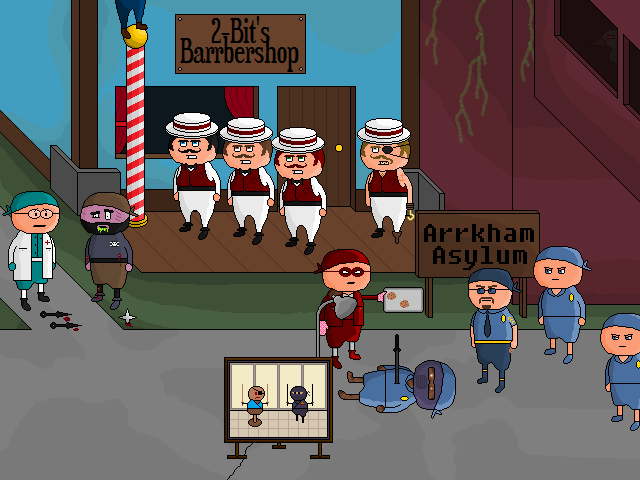 Wicked Awesome Adventure: 351 - Pursue NINJA up BARBER POLE to get ANTIDOTE! Identify PATH of ninja after leaving BARBER POLE. Examine ROOFTOPS.